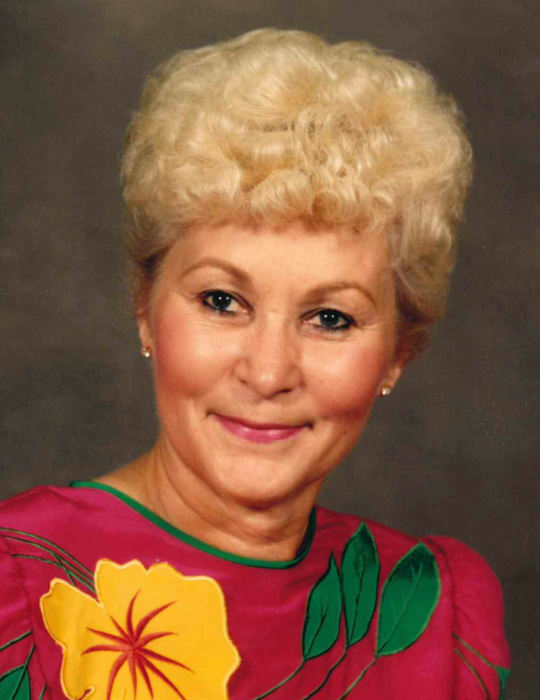 Peggy Williams Hughes, 83, of Ringgold, went home to be with the Lord Tuesday, February 5, 2019. She was a lifelong resident of the North Georgia area, and a member of Temple Baptist Church in Chattanooga. Peggy loved to travel. She was preceded in death by her husband Marvin Hughes, parents Samuel Williams and Jewell Wright Williams, daughter Debbie Davis, and sisters Margie Vaile and Jean Gentry. Peggy is survived by her sons Doug (Sharon) Sampley and Jeff Sampley, daughter Donna (Tim) Wood, sister Bernice Richardson, 13 grandchildren and 8 great-grandchildren. Funeral services will be 12:30 PM Thursday in the funeral home chapel with Tracy Trivette officiating. Interment will be 2 PM at Chattanooga National Cemetery with Dr. James Rushing officiating. The family will receive friends 2-8 PM Wednesday at Heritage Funeral Home and Crematory, Battlefield Parkway.